The 2004 Sierra Nevada Forest Plan Amendment that guides the management of the national forests in the Sierra has been ripe with controversy since its inception. 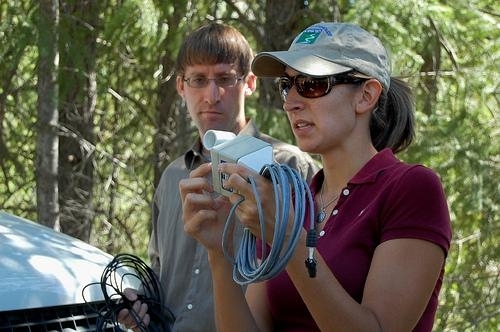 Disagreements over harvesting plan details, the effectiveness of SPLAT fuels treatments and their effects on wildlife and water issues led to the formation of the Sierra Nevada Adaptive Management Project (SNAMP) as a way to address these controversies and learn from the best available science. 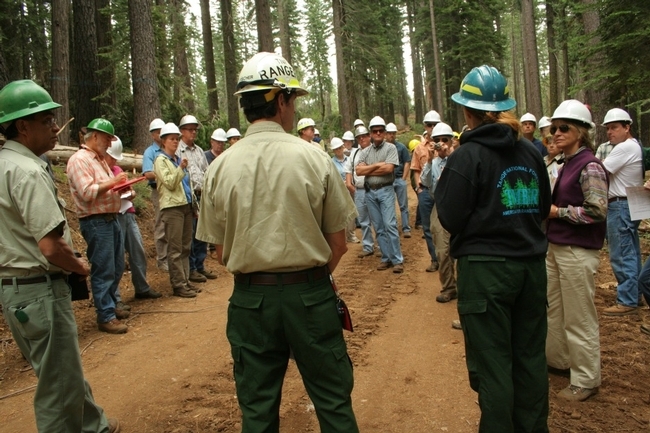 The US Forest Service, US Fish & Wildlife Service and California Resource agencies contracted with the University of California to be an independent, neutral third party to research key management issues, develop a multi-party adaptive management program that builds on new research and to increase public participation in all aspects of the project. UC scientists are working in five areas: Fire & Forest Ecosystem Health, Water Quality & Quantity, Wildlife (CA Spotted Owl and Pacific Fisher), Spatial, and Public Participation. These teams are conducting scientific research in an open and transparent manner to measure physical and natural processes at relevant management scales, all the while integrating competing public interests, identifying conflicting outcomes and building public trust. The overall goal of this seven year project is to provide the Forest Service and resource agencies with quality information derived from deliberate experimentation that can be used to improve future management decisions and reduce conflict. SNAMP has two study sites, Last Chance in the northern Sierra and Sugar Pine in the southern Sierra. These sites were selected because they represent the major bio-geographical features of the Sierra Nevada. They have mixed conifer forests with suitable control and treatment watersheds and old forest habitat for species at risk. They are also large enough to support fireshed scale research and active planning by local Forest Service districts for fuels management projects. Two to four years of pre-treatment data has been collected by the UC teams prior to the start of fuels reduction treatments (including thinning, mastication and prescribed fire) that began during summer 2011. Treatments are scheduled for completion by late 2012. 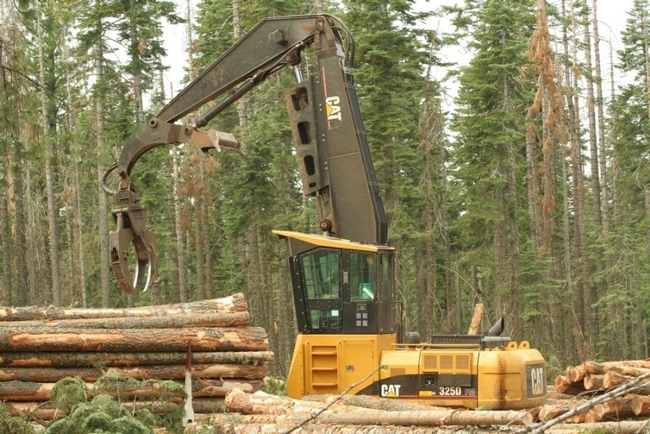 Logs being sorted at the Last Chance thinning project near Foresthill, CA, September 2012. Analysis of pre-treatment data has led to some initial findings from the various UC science teams. The Forest Team collected data on tree size and species, as well as fuel loading in the study area, then modeled how fire behavior would be affected both before and after the treatment. They predict that both treatments will be effective at moderating wildfire behavior. They also analyzed hundreds of tree core samples and compared growth patterns between live and dead trees. Initial evidence suggests that thinning can improve tree growth even under adverse environmental conditions such as drought. 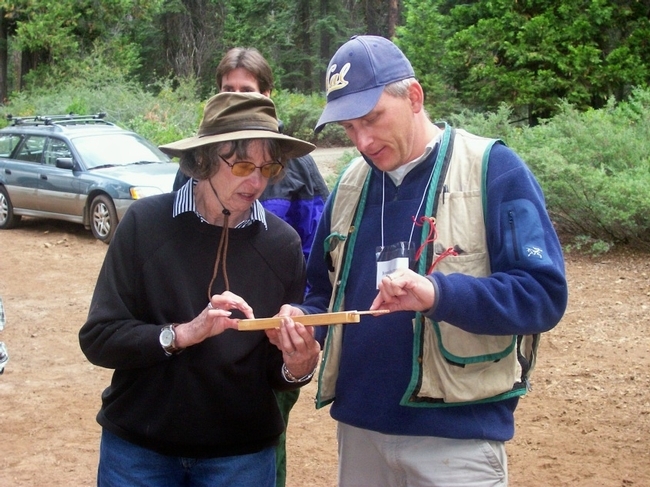 Dr. John Battles, UC Berkeley forest ecologists shows a SNAMP participant how to read a tree ring core. The fisher team has used radio collars to track the movements and dispersal of over 66 Pacific fishers in the Sugar Pine area. By retrieving fisher carcasses, the team, in conjunction with UC Davis scientists, has identified the top four causes of fisher mortality in the study site: predation from bobcats, mountain lions and coyotes, disease, rodenticide and road kill. They are currently developing measures of the population dynamics for the species, including reproduction and survival as well as locations of fisher source and sink areas in the study area. The CA Spotted Owl Team has identified 75 owls in 48 territories within the SNAMP study area. Using data from monitoring territory occupancy and reproductive success of the owls, initial findings suggest that the owl population is in an overall decline. The team is conducting a retrospective analysis on the history of land use and vegetation looking at all observable changes in owl habitat due to disturbance to identify potential causes of decline. With meteorological and hydrological instruments, the Water Team records and collects data on a daily basis. This data is fed into computer models to produce potential trends in stream discharge and sediment loading or snow accumulation and snowmelt rates. Using different parameters, such as a reduction in leaf area index (LAI), the team is modeling effects of fuels treatments on stream flows and evapo-transpiration rates. UC Merced graduate student Sarah Martin explaining water team field equipment. Remote sensing of both study areas was done using Lidar (light detecting and ranging). This data has allowed the Spatial Team to produce many two and three dimensional maps and other products for use by the science teams. 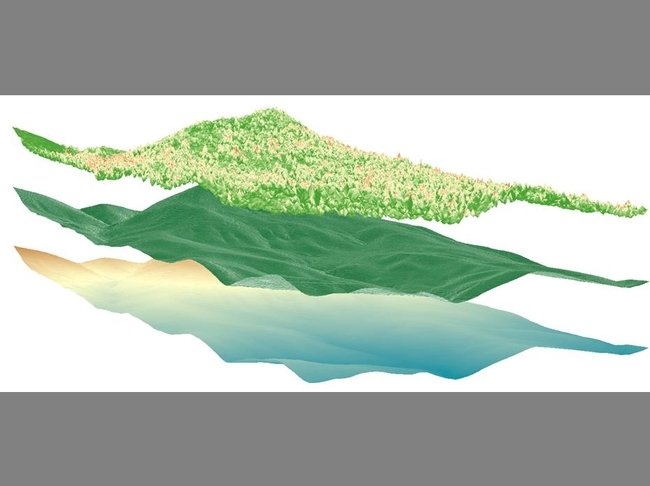 Examples include bare earth, slope, aspect and elevation maps; canopy cover and LAI maps; as well as providing information incorporated into fire behavior models. 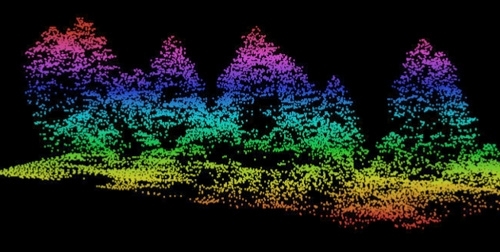 The team has developed methods to detect individual trees from a lidar data point cloud and has used this data to characterize habitat structure for the wildlife teams. The role of the Public Participation team is to promote SNAMP through strategic facilitation and outreach and to support the progress of adaptive management. The team reaches many diverse participants through meetings, field trips and workshops; presentations to community leaders and groups; submissions to blogs, industry publications and other media outlets; and the SNAMP website. Current work includes papers on perceptions of forest health, social network analysis and lessons learned through outreach. of the Last Chance Project near Foresthill. Photo by Shufei Lei. Funding difficulties affected the scope of the project in 2011. However, the majority of funding has been restored and the project will be completed with a few changes to the original scope of work. Data collection by these teams will continue for a year after the fuels treatments are complete in order to characterize the effects of the treatments on forest health, fire, water, and wildlife. There will be a final report to agency partners and the public in 2014. For more information, please see the SNAMP website http://snamp.cnr.berkeley.edu/.